Why is [Promotion] closed when they are active? Due to how slow the game runs with more promotions active, I have included active promotions but have them closed, to identify these they have their opening date and closed date the same. To activate the promotion simply remove the closed date. They may also have their titles histories included, if they do you need to go into "Title Lineages" and remove their most recent record (identified with a "= -" or "= - #" before their record name). You can then activate the title (all closed promotions titles are retired) and then set the champion if they are under contract. Old Workers: August 2018 - Compatable with all databases prior to 2019. - Graphics DLC contains loading screens and pictures of non wrestlers cut on the same background used for workers. This is a game world that will organically generate as it progresses, it contained the minimum requirements to starting a save with the promotion and worker open to being customised if you want to. This uses my event, team, tour, TV and worker names as well as gimmicks from my real world database. The more mods, the better. Options are always great. Very glad you made the jump to '16! IIRC it took you awhile to make the jump to '13. As for your mod and its detractors, I wouldn't worry about it. You've made great strides to improve your mod and get out of the EWR stating mind frame and it shows. Its not perfect (what mod is?) but its clear that you're dedicated to making it the best it can be, and for that I thank you. Also, I'm looking forward to your new picture pack. I know its been something of a labour, but I'm sure it's going to be great. Which company are you using? Do you have specific examples or do you feel it's a wider issue? The ratings for the bigger companies, as TheWho mentioned in the OP, are based on a collective effort. DerekB even helped, which was great for balancing purposes. This mod has a tonne of potential and could one day soon be the definitive current day mod. That's not to degrade the other great modders (Fleisch in particular) at all. But, TheWho's mod has an insane amount of depth to it. I wish you guys all the luck and hope you stick with it. Just some friendly advice from on modder to another.... Making predictions about how good your mod will be one day compared to Fleisch's then immediately after mentioning depth is not a good way to endear yourself to most GDS members. Fleisch has worked day and night longer then just about anyone here at GDS to provide people a game to play. If you have to follow a sentence with (not to degrade or anything) the post may be better left for a private conversation. Just my opinion something that will help you guys going forward. Just some friendly advice from on modder to another.... Making predictions about how good your mod will be one day compared to Fleisch's then immediately after mentioning depth is not a good way to endear yourself to most GDS members. Fleisch has worked day and night longer then just about anyone here at GDS to provide people a game to play. If you have to follow a sentence with (not to degrade or anything) the post may be better left for s private conversation. This isn't my mod. 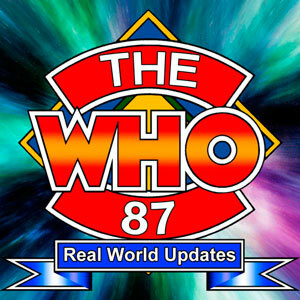 I just help with the some of the ratings on a site and TheWho uses them. I was referring to TheWho's mod, not blowing smoke up my arse. His mod has a ridiculous amount of coverage in terms of independent promotions, it's remarkable. Whether you are or aren't my point still stands. If you guys need any help with anything please let me or one of the ModSquad guys know!